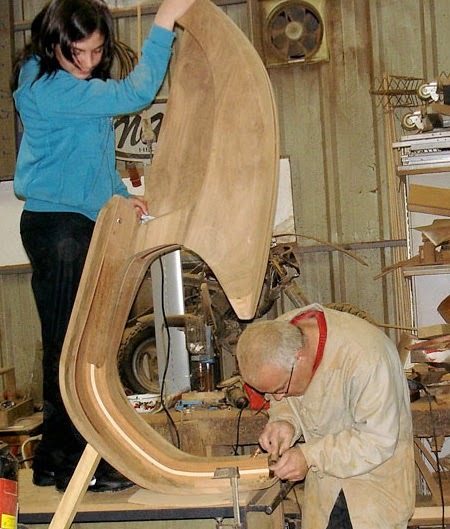 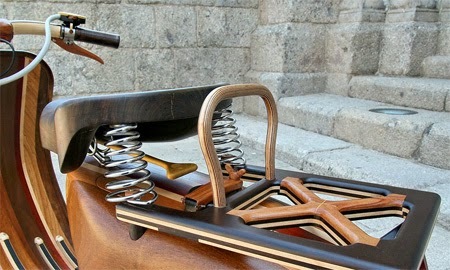 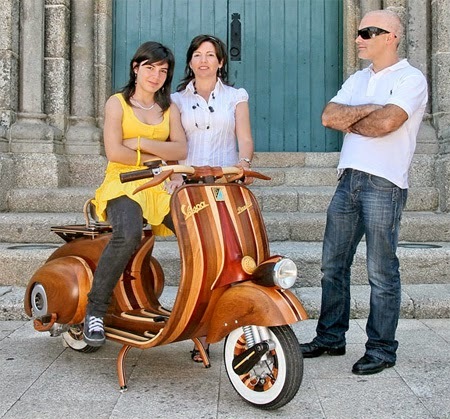 Wonderful scooter handcrafted out of wood by talented Portuguese carpenter Carlos Alberto for his daughter Daniela. 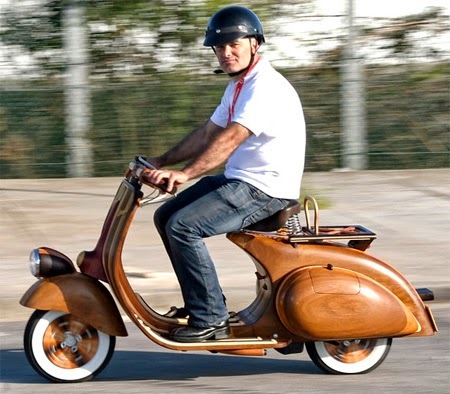 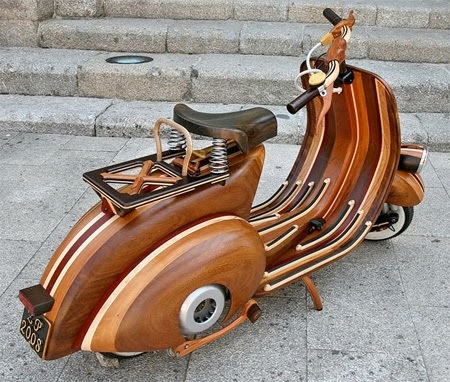 Hilarious wooden scooter looks and functions like the iconic Vespa Scooter. 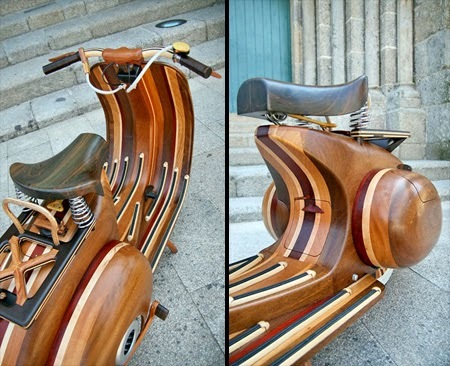 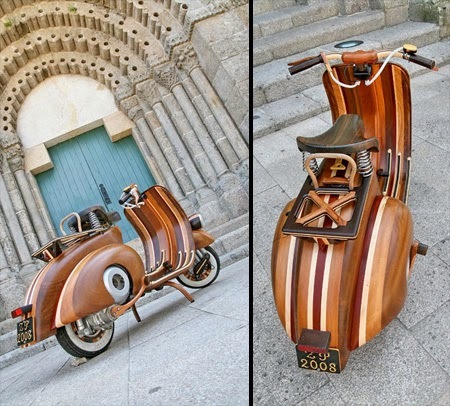 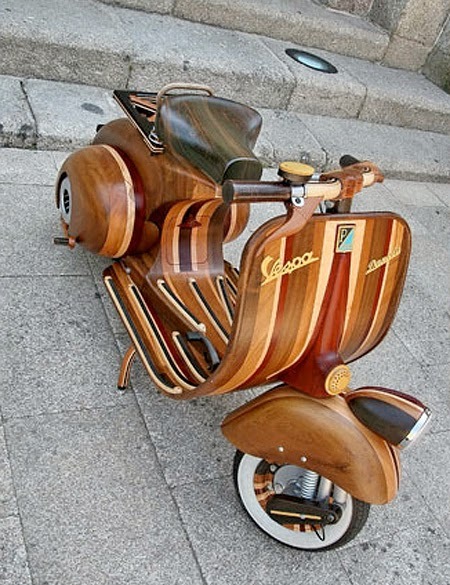 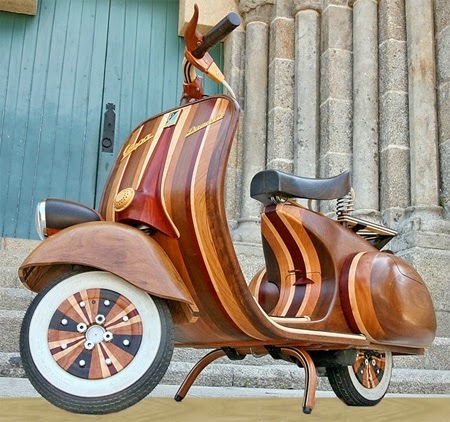 0 Respones to "Wooden Vespa Art"